Once again it's time for the Co-Op Game of the Year awards. 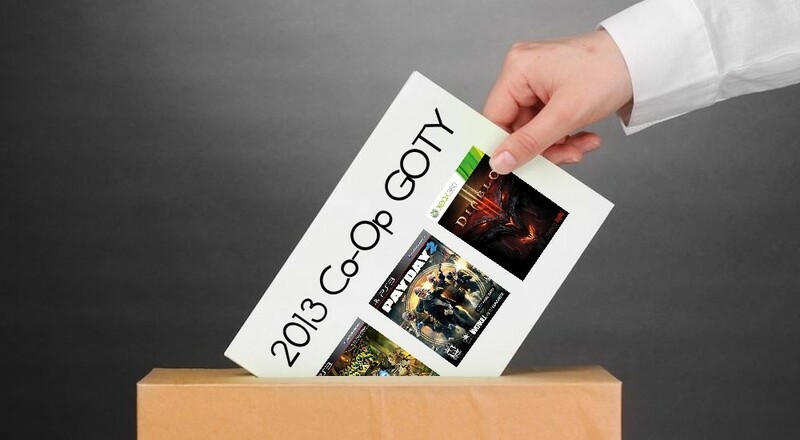 This is our sixth year for our awards, choosing the best cooperative game in the industry. (2008, 2009, 2010, 2011, 2012). Like last year we've split the voting between two categories this year - AAA Games and Indie games. Despite two new console releases, almost none of the new games have made our list of notable co-op games. It's a slight disappointment that the Xbox One and PlayStation 4 are no shows, but hopefully that changes next year. That said, there are still some really great games, and we'd like to hear what your favorite co-op game of the year was for 2013. The staff have narrowed it down to seven choices in our AAA category - but if we missed something feel free to leave it in the comments. Forgot what was released? Check our release calendar. Winners will be announced around January 1st. When announced we'll showcase the community picks right alongside the staff winners. Page created in 0.8385 seconds.